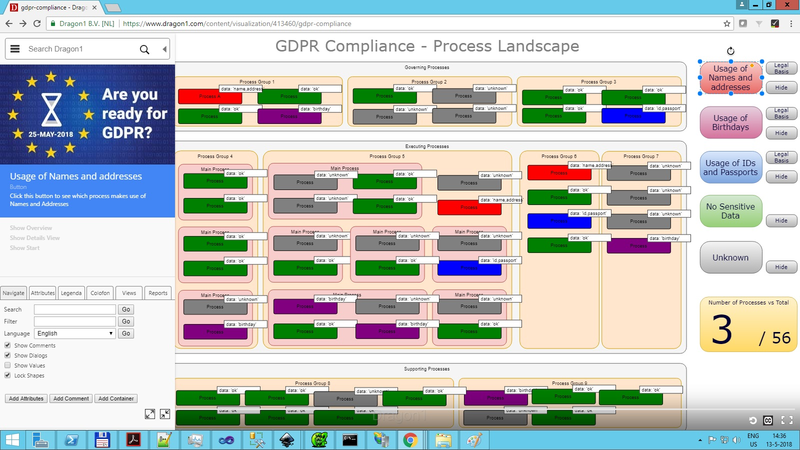 What is an overview of business processes to improve GDPR compliance on? For which processes (and supporting applications) are we not yet compliant? For which processes (and supporting applications) do we have to few data insight yet? Where and how can we report the details of processes, applications and data for GDPR Compliance? 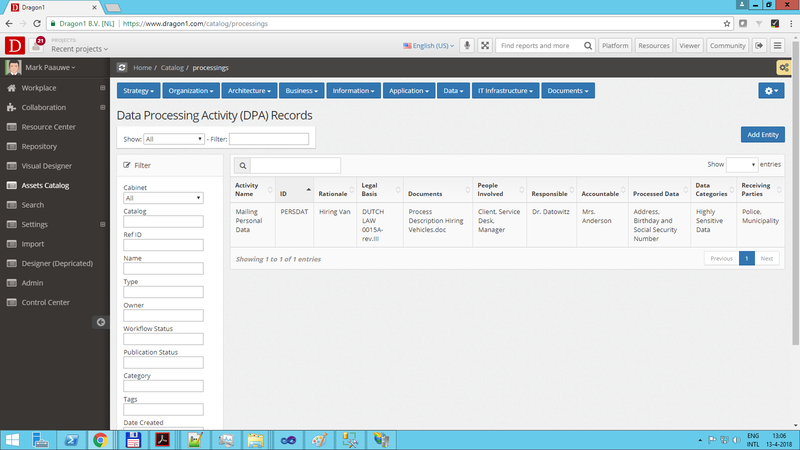 Here is a life GDRP Data Compliance example on Dragon1. Click on the buttons at the right to see the information about the sensitive data being made visible.